Movistar's Nairo Quintana executed a perfect plan to try to take the leader's jersey from Egan Bernal but the work of Team Sky stood on the way of it. Movistar made sure to have enough riders in the escape group to support Quintana if he managed to bridge, which he did just after the 50-kilometre mark. 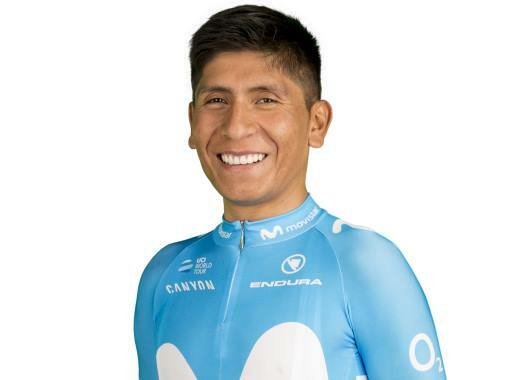 The rider and the team did their best efforts to increase the gap with Bernal's group but the speed of Sky's train managed to defend the Yellow Jersey of the Colombian. "We wanted to take team riders to the front to then try and attack into one of the climbs, take advantage from their strength at the front and create a ‘one to one’ situation between Egan Bernal and myself," Quintana commented at the end of the stage. "We had three of my teammates in the break, from which Marc Soler was the strongest and could push for a nice chunk at the front, and then it was a good fight until the end for me. "We didn’t win the race, but we’ve tried all that we could in this final stage, where we thought we could take those chances. It’s true that we barely improved our result with that move, but today’s overview has lots of ups for me: my body feels great for the upcoming big races, we’re doing things right and I continue to enjoy bike racing a lot – which is the real important thing." Quintana's calendar will likely continue his season with the Vuelta al Pais Vasco.